history. For example, to see a family member’s name on a muster roll for a Civil War regiment can lead to research into where and when that regiment fought. This places that ancestor within the greater context of the Civil War and thus highlights the part that the family played during this crucial period of American history. Even a document as simple as a passenger ship registry can provide a wealth of information both genealogically and historically. In putting together the Genealogy Document Display I learned a lot about the methods and challenges of genealogical research. Although I was not following one specific family lineage, even a broad look at genealogical materials presented its difficulties. The most challenging is a simple language barrier. Some very resourceful documents (i.e. those of immigrant communities or from overseas) were not all in English. Such was the case with the 1712 records of the Moravian Church of York, PA (Collection No. Am.7065). 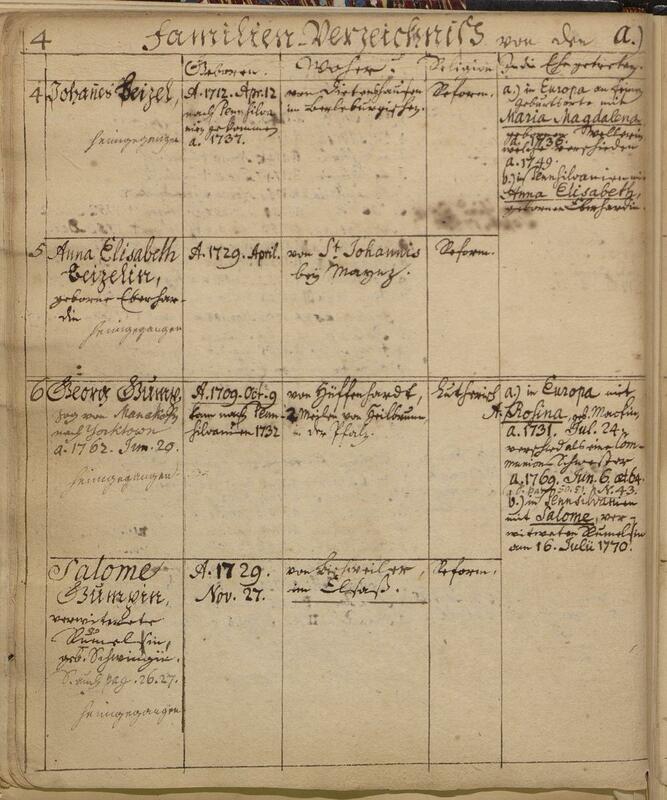 fortunately, in this specific case, a simple translation of “Familien Verzeichnis” reveals that the document is a “Family Directory.” If the translation proved more difficult, at the very least, family names were still legible on the document. Another difficulty is in legibility of manuscripts. Often, older documents were written using ink and quill in script form. This is can sometimes make them difficult to read especially to those who are not used to reading these types of texts. In these cases, I have found that another set of eyes makes a world of difference as someone else may shed better light on the text. Again, using the Moravian Church records as an example, upon first inspection, I saw “Verzeichnis” more as “Verseichnil s.” If unfamiliar with the German language, it would be almost impossible to discern what the real word was. Similarly, some words in English may be spelled or written differently. 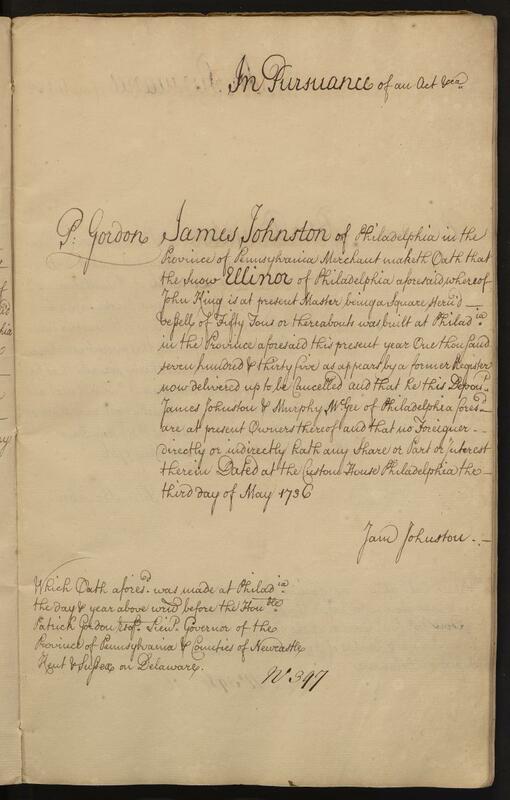 In the 1736 Pennsylvania Ship Registry Book (Collection No. 0594, Box 1, Vol. 7), not only is the text difficult to read, it also contains confusing information. One entry, that of James Johnston’s ship Ellinor, dated May 3, 1736, states that the ship was “S’quare Stern’d...of 54.” The translation of this is that the Ellinor is a ship with a square stern. The number 54 is referring to the vessel’s tonnage (or cargo-carrying capacity). Alternate spellings ad technical terms such as these can at first seem confusing. The best method I have found in overcoming this is optical is to write down or take a photo of exactly what is difficult to understand. These can be used to look up translations, get second opinions, or launch further research for understanding. The final, often most daunting, challenge was sifting through HSP’s vast collection of genealogical materials. First, there is the most basic challenge of finding items that look good aesthetically in display cases. Beyond that, finding specific information can be very time consuming. HSP houses many records, such as cemetery, church, veteran pension, and wills, organized by state and county. 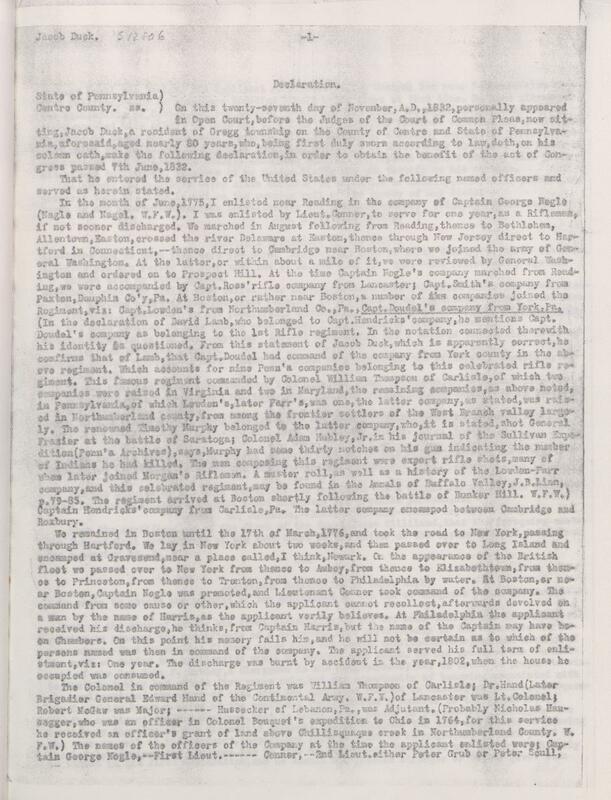 Used in the document display was the Revolutionary War Soldiers Pension Papers from Centre County, PA (Call No. CE 34:1 Copy 2). For my purposes, I only needed to search the pension records for particularly telling stories that stood out. However, had I been searching for a specific record or ancestor, I would have encountered difficulties. 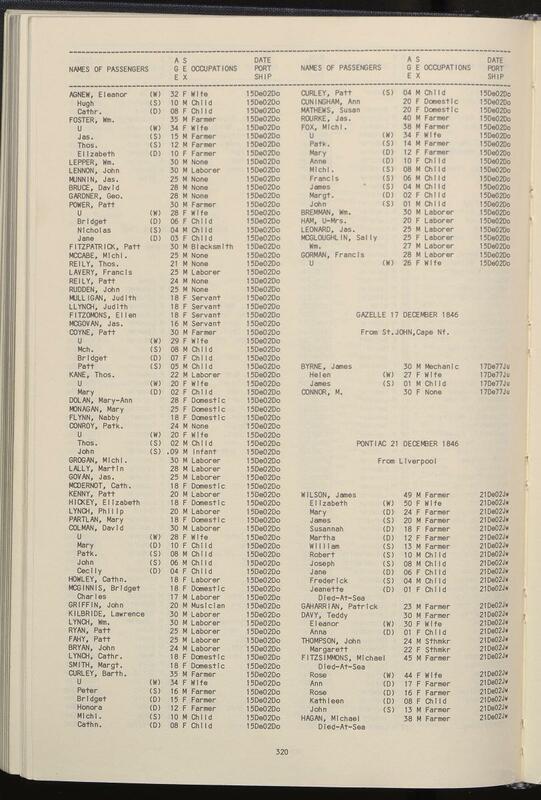 This particular type of record book was not organized alphabetically and so therefore, even knowing that name of a veteran would be of little use. In order to find that specific person, I would have had to search the book, page by page. This is certainly a do-able task but it is something to keep in mind while exploring these record books. In total, I have learned a lot about the various challenges and joys of genealogical research. Being a graduate student studying history, I am no stranger to doing historical research. But engaging in genealogical research, I came to realize that I needed to learn a unique set of research skills. These are skills that will compliment my historical research skills and ultimately give me new perspectives on historical documents. Prior to beginning work on the Genealogy display, I had not thought much about genealogy. Through my internship, I was fortunate enough to have the opportunity to test my skills in new ways while gaining a new appreciation for those who engage in the arduous work of genealogical research.